When we clean our homes, it’s not just because we don’t like the look of a messy house—it’s also because dust and dirt can come with a wide array of other health concerns. What many people forget to think about however, is that cleaning products themselves can also have a lot of negative effects on our health—especially when it comes to young children and the elderly. So how do you know if the products you’re using to keep your house clean are impacting your health? If you’re experiencing any of the above symptoms for an extended period of time, there’s a good chance you might be having side effects from your household cleaners and it could be time to try something new. Not sure which products in your home are and aren’t a threat to your health? We’ve rounded up some of the most frequent offenders in household cleaning products. More often than not, these sprays contain the MIPA-BORATE chemical which may cause developmental and reproductive effects. They also often contain ammonium hydroxide and ethanolamine which makes them great at disinfecting things, but just as great at causing harmful respiratory effects and even damage to your skin and vision. Those handy wet cleaning wipes that come in a tube? They often contain the same chemicals as above. Even ones that are branded as “Natural” or “Green” often contain preservatives and cleaning agents that act as strong irritants on flesh, or if inhaled. In order to be so efficient, multi-surface cleaners often contain ethanolamine and dipropylene glycol butyl ether, which is known for its carcinogenic effects. And to think, these are just a few of the products you have to worry about. Read the back of your most used products and we’re sure you might be a bit scared when you find out what all those ingredients are. 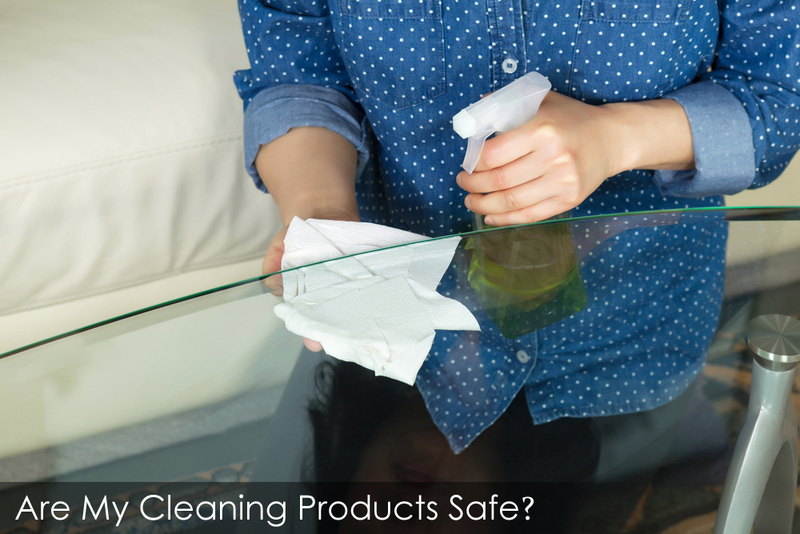 Luckily, there are just as many safe cleaning alternatives out there as there are dangerous ones! This solution will clean, disinfect, and leave any surface smelling fresh. Other natural alternatives include a simple mixture of vinegar, water, and lemon, or for tougher stains, a baking soda and water paste. And, if you’re not ready to give up your chemical laden cleaners, you can even make them a bit healthier by following the old rule “less is more” and adding some water to dilute the spray.